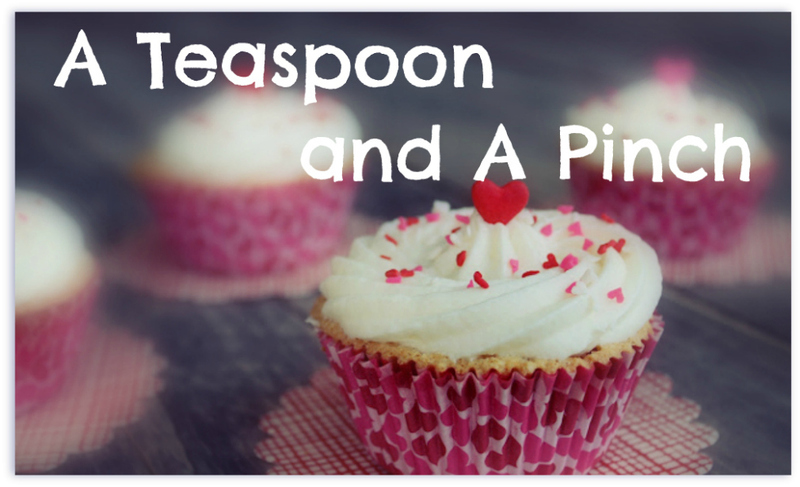 A Teaspoon and A Pinch: Take Your Kids in the Kitchen Theme Week - and a #giveaway!! Take Your Kids in the Kitchen Theme Week - and a #giveaway!! Welcome to out first theme week here at From Blah to Ta-daa!! Take your Kids into the Kitchen!! There are so many things that you can teach your kids allowing them to help you in the kitchen...from math skills to life skills -- but the best thing? You can teach them to have fun with their food!! We would love to introduce you to Barbara Beery from Kid's Cooking Shop!! Barbara is the fun and fabulous owner of Batter Up Kid's Cooking Shop! She has a bachelor's degree in early education and 18 years teaching experience. She teaches cooking classes and runs one amazing blog. is full of yummy recipes and information!! She is also the author of 11 children’s cookbooks including three best-selling cookbooks which have sold over 300,000 copies! Her titles include Pink Princess Cookbook, Mermaids Cookbook, Pink Princess Cookbook, The Texas Longhorns Cookbook, Pink Princess Spa Cookbook, Green Princess Cookbook and Pink Ponies Cookbook. Her shop is a great resource for all things fun in the kitchen!! Through her shop, blog and classes she is teaching kids and parents that you can have fun in the kitchen with just a little imagination!! You can also find Kid's Cooking Shop on youtube!! Check out this month's cupcake recipe of the month!! Every day this week we will be featuring items from Kid's Cooking Shop!! as a Giveaway to Celebrate the theme week!! An enchanting good and deliciously fun baking set for the Princess in your kitchen! From best -selling cookbook author, Barbara Beery, comes the new Pink Princess Cupcakes Cookbook for girls 4 and older. Our exclusive Pink Princess Cupcakes baking set includes the new Pink Princess Cupcakes Cookbook with 30 party perfect recipes and 30 full page color photos, 1 -8 inch pink silicone spatula for stirring and frosting, and a set of 1 dozen "Princess" cupcake wrappers to adorn all her majesty's cupcake creations! Visit Kid's Cooking Shop and let us know you favorite item. 1. Follow From Blah to Ta-daa through Google Friend Connect...or let us know if you already do! New Followers - 1 entry! -- Already Following -2 entries!! Very easy and simple -- make sure to check your e-mail and confirm!! and Tweet daily about this giveaway!! Make sure to include @FromBlahtoTadaa , @kidscookingshop and the hashtag #giveaway in your tweet. 5. Post our button on your blog. 6. You can get up to 6 extra entries...we are each going to be posting reviews of the items that we were sent for this theme week on our personal blogs...for each comment on those posts...you get an entry. 9. 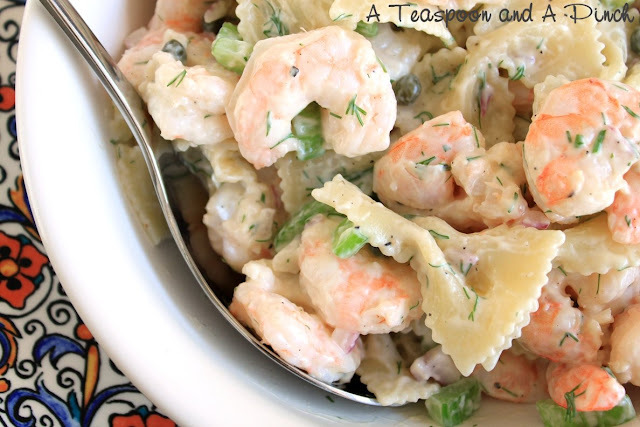 Link up your kid friendly dish for What's on Your Table Mcklinky below for 3 bonus entries!! Giveaway will end April 3rd and is open to residents of the U.S.
We were sent items for the purpose of review thanks to Kid's Cooking Shop...but all opinion are ours and ours alone. What a cute site! I love the Fairies Cookie Party Kit and the Fairies cookbook. What a great way to spend time with your daughter! I follow From Blah to Ta-daa through Google Friend Connect. I subscribe to From Blah to Tadaa through e-mail subscription. I follow Barbara's Blog through RSS subscription. I like the Favorite Family Meals cookbook. I follow Barbras through RSS! I love the Pink Cupcake Apron! Rachael Ray Cutting Set Yum-o! This website is so cute. I like the cutting set. I am brand new follower. I like the yummy pink mixing set! I'd like to try the motorized ice cream cone! Great giveaway! My favorite item from their site is the Pink Princess Apron! So cute. I love the Batter Up Kids Baking Gift Set. I really think my kids would love this! Thanks for the chance! I like the Eco-friendly Kids Cook & Bake Set! Thanks for the giveaway! I follow you and Barbara Beery on twitter (dkad23) and tweeted. I follow FromBlahtoTadaa & Barbara Beery on Twitter. I so want to win. Give credit to joeandbridge -- I saw their tweet and came over. Now I am a new follower. My daughter is such a princess and loves to cook which is why I am trying to learn to cook! We NEED this! I just subscribed to Barbara's blog feed in Google reader. The Eco-friendly Kids Cook & Bake Set is great! Thanks for the chance. love the princess baking set. I love the panda munchler lunch tote. I like the Pink Princess Castle Tea Set! Really cute! Cute site! I love the castle bakeware pan. Wicked cute! I like to protect our planet so I would like to try "Cook it in a Cup". I follow Blah to Ta-daa via GFC. I subscribe via email, now! I am going to make those springtime cupcake pops for my little one's birthday. They are so cute! That was my favorite part of the website, but I also love the princess castle set. I love the Yummy Pink Mixing & Bake Set! The Dino Spoon and Fork Set is adorable! I love it all - there are too many cute items to choose from! I have 4 girls who would probably love it all!! love the ladybug apron. very cute! I like the cupcake & cookie icing set--the boy loves the frosting! Subscribed to Barbara's Blog...that will be lots of fun for the boy! I commented on Mellisa's review of the Princess Baking Kit--too cute! Oh, the cupckae and cookie decorating kit would be my first stop... it looks so easy to use. There are so many cute things at the site! I especially love the Rosey Posey toaster, but love all of the kids cooking themed things. cute stuff - i like the ice cream balls! in cute colors too! I like the kids eco friendly lunch bags. I love the Bakeware Fairytale Carriage Pan, my 3 year old would adore that for her bday cake! I really like the Cupcake & Cookie Icing Set. I'm a Google Follower. Thanks! I love the castle cake pan. Too fun for the perfect princess party. I love the castle cake pan!! I'm a new google follower and I signed up thru email. I love her books! I just love the Jr. Chef Stainless Cookware Set. I love the ladybug apron! I really like the heart snack set! I'd love to own the Pink Princess Tea Party Gift set. Following, subscribed to feedburner, adding button to www.thecoupongoddess.blogspot.com and love that princess baking set!! The blue ice cream ball is awesome! I'd love to try it! I love the Pink Cupcake apron! Very cute! Love kids cooking great job! I Follow Blah to Ta-Daa through Google Friend Connect! I'm a new email subscriber! the eco apron jungle is so cute! I love the Fairy and Pirate cookie cutter sets. My kids would love these. They love making cookies. My favorite would be the Atlas Pasta Maker or the Eco-friendly Kids Cook and Bake set. Cheers!